Highlight the impact of upcoming summer ministry. Offer high capacity givers an opportunity to give a special offering. Summer giving campaigns come in two forms. 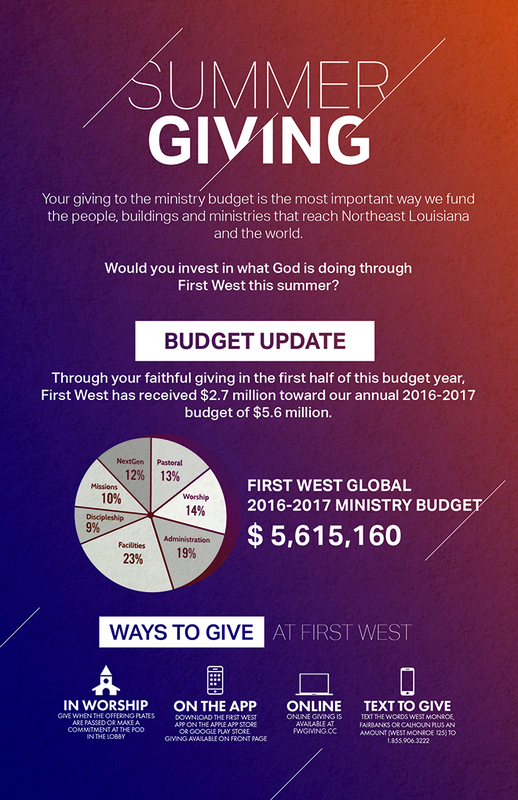 A limited initiative highlights key ministry opportunities with an estimate of total cost and gospel impact. A broader emphasis outlines the total budget impact of the summer months with the goal of fully funding that work. Begin a summer giving emphasis in April or May. Create a promotional flyer and distribute it widely. Provide regular giving updates throughout the summer. 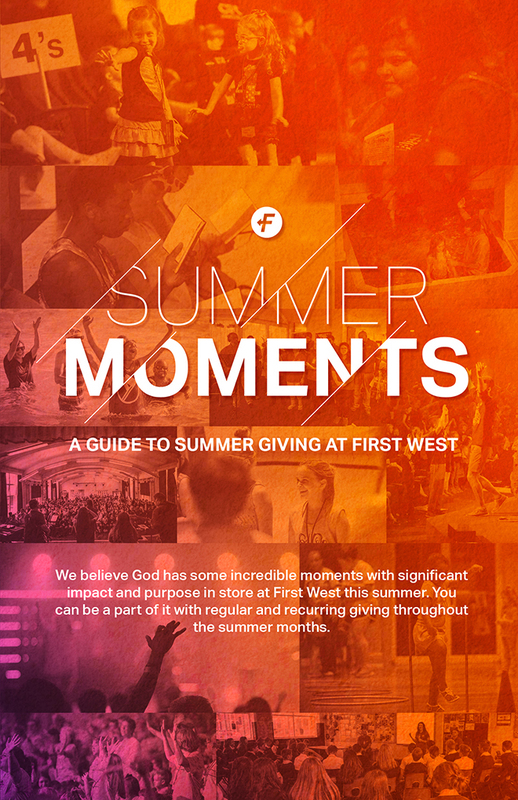 Tell summer stories about life change and gospel impact. 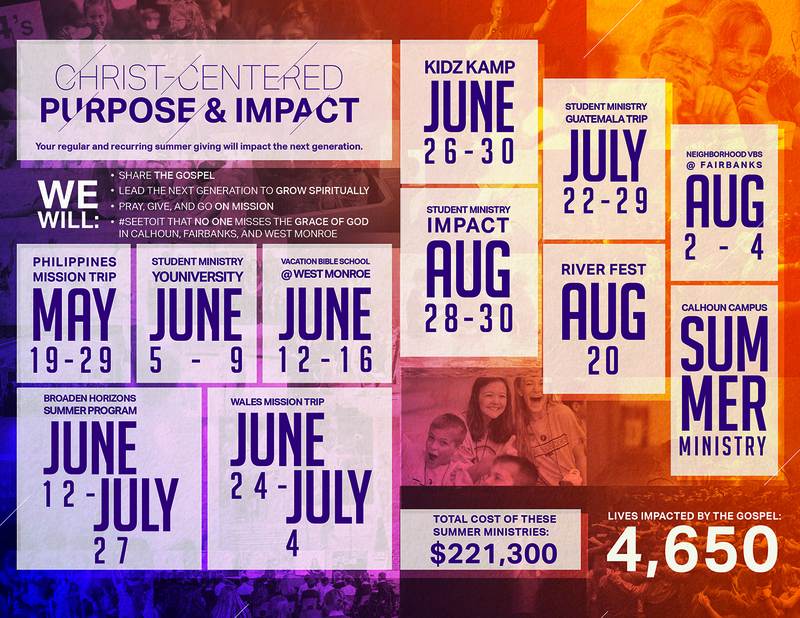 Highlight important summer outreach, missions and next generation ministry opportunities. Verbalize the “why” behind summer events.